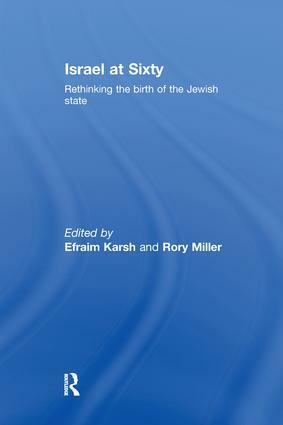 Sixty years after the birth of Israel, this fascinating and original book of essays brings together a number of the leading experts on Zionism and Israel to examine the domestic and international context of Israel's transition from community to state in 1948. With contributions on a wide range of historically important topics that are no less relevant now than they were six decades ago, the book examines how countries as diverse as France, the United States, Turkey, Britain and Ireland viewed the partition of Palestine in 1947 and the subsequent establishment of Israel in 1948. It also looks at the involvement of the UN, Zionist and Arab leaders in the events immediately preceding Israel's birth. While controversial issues such as the role of the Holocaust in the creation of Israel and the attitude of the Zionist movement to Palestinian Arabs, from its onset to the 1948 war, are examined in order to set the record straight after decades of mistaken and misleading research. This book was previously published as a special issue of Israel Affairs. Efraim Karsh is Professor and Head of Mediterranean Studies at King's College London. Rory Miller is Senior Lecturer in Mediterranean Studies at King's College London.